Alright sure, here in Florida, the majority of us have been using our air conditioners throughout the majority of the year. However, rising temperatures mark the beginning of the summer season, and for most of us, that is quite exciting! Of course, there are many things that need to be done to prepare for the season ahead, like digging out your favorite bathing suit, stocking up on sunscreen, and ensuring that your AC is in mint condition. You likely use your air conditioner a lot, which means that over time, it is going to require some repairs. 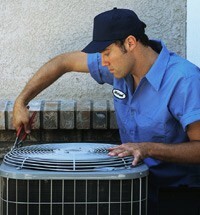 When you need Tampa AC repair service, be sure to hire a professional right away. Hiring a professional HVAC technician at the first sign of a problem is the best way to ensure that your issues don’t become worse. Below, we have outlined some of the most common summertime AC repair needs. Keep reading to learn more. 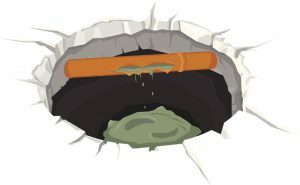 Is Your Main Sewer Line in Trouble? Your main sewer line, while you likely don’t give it much thought, is one of the most, if not the most, important component of your plumbing system. This is one of the two main plumbing lines connected to your home. Your main sewer line is responsible for removing all of the wastewater from your home and moving it into your city’s civil sewer system. Since your main sewer line is hidden underground, it can be quite easy to forget about… that is until trouble arises. Trouble with your main sewer line is certainly a cause for concern and requires the hands of a trained plumber in Orlando, FL right away. This is why it is important to be aware of the signs that your main sewer line needs repair. Fortunately for you, we have outlined some of these warning signs below. Keep reading to learn more! Posted in Plumbing | Comments Off on Is Your Main Sewer Line in Trouble? It’s Time for a New Air Filter! Summer is right around the corner, which means its time to start thinking about your air conditioner! 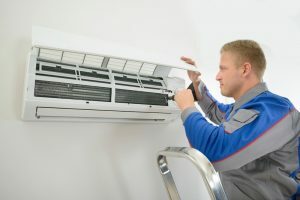 During the hottest time of the year, you expect your air conditioner to keep you cool and comfortable, however, it is only going to perform its job well if it receives the attention it requires. Otherwise, you could be left dealing with a whole variety of unforeseen problems. One way that you can prepare for the season ahead is to change your AC’s air filter. Many homeowners tend to minimize the importance of changing their air filters, so it may only get changed during an annual maintenance visit. However, it is recommended that your air filter is changed every 1-3 months. 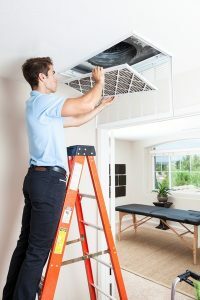 Here in Florida, we use our air conditioners a lot, so failure to change an air filter can definitely affect the overall function of your system. Below, we have outlined some of the reasons why you need to change your air filter regularly. Keep reading to learn more. Posted in Air Conditioning | Comments Off on It’s Time for a New Air Filter! Okay sure, here in Florida we rarely go a day without using our air conditioners, so what exactly does “pre-season” mean when almost every day feels like summer? The line between winter and summer can be a little unclear, so to be a little more specific, we are referring to the months leading up to April, before temperatures climb into the 80s and beyond. Scheduling your AC services before temperatures skyrocket is the best way to ensure a comfortable, enjoyable summer. You have plenty of other things to worry about besides a faulty AC, like getting the perfect tan, finding the best ice cream parlor, and remembering to pack the sunscreen when you head to the beach. When you schedule your AC services now, you can rest assured knowing that your system will keep you cool and comfortable, even during the hottest heatwave. Keep reading to learn more about the benefits of pre-season AC services. We expect that the items we put down our drains, whether it be down our toilets or our kitchen sink, to simply wash away without a problem. However, there are a number of things that should never be thrown down the drain. Certain items and substances can lead to significant problems, resulting in serious damage if left unattended. Your plumbing system is much more complex than you might think. As the majority of the system is hidden behind walls or underneath floors, problems often go undetected. Issues such as blockages and leaks are not usually recognized until they’ve already caused damage to surrounding property. This is why it is important to trust your plumbing system to the hands of a professional plumber in Tampa, FL who can detect and repair minor issues before they become major. In the meantime, you can protect your plumbing by being careful about what you put down your drains. Keep reading to learn more. Whether it’s used for cooking, washing, or drinking, your kitchen faucet is pushed to the limit every day. We often take for granted just how much our kitchen sinks can endure. 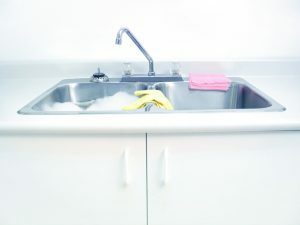 Throughout the course of a day, we turn our kitchen sinks on and off a million times, but this repeated use can quickly create problems in the faucet mechanism, leading to that steady, annoying drip. 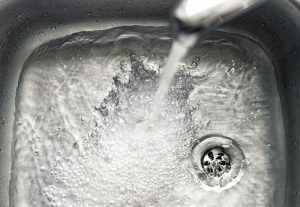 If your kitchen faucet is leaking, don’t hesitate to contact a plumber. Although the constant dripping may not seem like a big deal, it can easily cause significant damage to your home, property, and your wallet! In case you aren’t convinced, we have highlighted some of the reasons why you should call a plumber ASAP. You will find them below. Typically, a plumbing issue results in a visit from your local plumber, who can detect and seal any leaks or clear any blockages that may exist. At some point, however, repairing leak after leak is not worth it anymore. When your plumbing system reaches a certain age, repairing or replacing just one section of piping isn’t going to cut it. Instead, you’ll need whole-house repiping. When you need whole-house repiping or plumbing in Riverview, FL, contact Bayonet Plumbing, Cooling, and Heating. Repiping the entire house might seem a bit daunting, but it is a job that should only be done when absolutely necessary. If you’re unsure about whether you need repiping, consult with a professional plumber. In the meantime, we have provided a guide to whole-house repiping below. 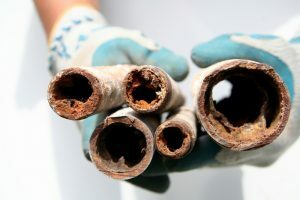 Posted in Plumbing | Comments Off on Is it Time for Whole-House Repiping? If you are considering a new heating system for your home, it is important to consult with a professional HVAC technician before making any final decisions. We understand that selecting the right system can be a daunting task—there are a lot of great options to choose from, and each has their benefits and drawbacks depending on your own individual circumstances. But don’t fret! Bayonet Plumbing, Heating, & Air Conditioning can help you select the perfect system for your needs! For many homeowners, ductless splits, also known as mini-split systems, are becoming a preferred option. These systems can be great for keeping your home warm in the winter and cool in the summer. Many Florida homeowners opt for this system for the convenience and year-round comfort! Below, we have provided some of the benefits that ductless systems have to offer. But remember, before you make any decisions be sure to contact us to schedule ductless services in Tampa, FL. A ductless system is a heat pump that does not rely on ducts. Instead, it utilizes air handlers installed throughout the house rather than a centralized blower or coil unit. Ductless systems are able to act as both heaters and air conditioners, thus making them a popular and convenient choice. The system is made up of an outdoor condenser unit and one or more indoor units that contain the air handler and blowers that help to circulate air. 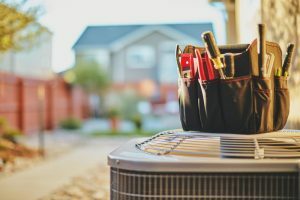 Refrigerant lines are all that connect the outdoor unit to the indoor units, making installation convenient and affordable. As mentioned above, a ductless system provides both heating and cooling without the need for ducts. If you live in an older home that does not have space for ductwork or doesn’t have it installed, a ductless system can be a great alternative. Installing ductwork can be a difficult and expensive process depending on the layout of your home. Installing a ductless system is less invasive and can be up and running in as little as one day. Switching to a ductless system can save you and your family a lot of money. Ductless systems operate on less power than other systems simply due to the fact they recycle heated air rather than generating it from nothing. In addition, homeowners can control the temperature of the air going into each room, thus increasing efficiency. Mini-split systems allow homeowners to create “zones” in their homes, meaning they don’t have to heat or cool the rooms that aren’t being used. Since mini-splits have no ducts, they avoid the energy losses associated with the ductwork of forced-air systems. Duct losses can account for more than 30% of energy use. In addition, a ductless system is considered to be a more efficient choice than a standard window or portable unit. Our friendly technicians at Bayonet can help you decide if a ductless split, or mini-split, system is right for your home. We offer installation, repair, and maintenance services to ensure that your new system runs efficiently and effectively for years to come! Contact Bayonet Plumbing, Heating & Air Conditioning today! Posted in Ductless | Comments Off on Is a Ductless Mini-Split System Right for Your Home? We know what you’re thinking: I live in Florida, why does it matter if my heater is not the best? Well, our technicians at Bayonet Plumbing, Heating & Air Conditioning are here to tell you that it does matter. If you are still operating a “not-so-great” system, you might be wasting more money than you think.